A further increase of activity has occurred.  At 20:25 h local time yesterday, a new 100 m long lava flow was observed descending from the crater rim towards Ash Canyon. Incandescent blocks detach from the flow and create small avalanches. Incandescent material was seen rising 75 - 100 meters above the crater, and falling back created weak to moderate avalanches towards the Taniluyá and Ash canyons. Fine ash fall occurred in the villages Panimaché I Panimaché II, Villa Morelia and Assumption.